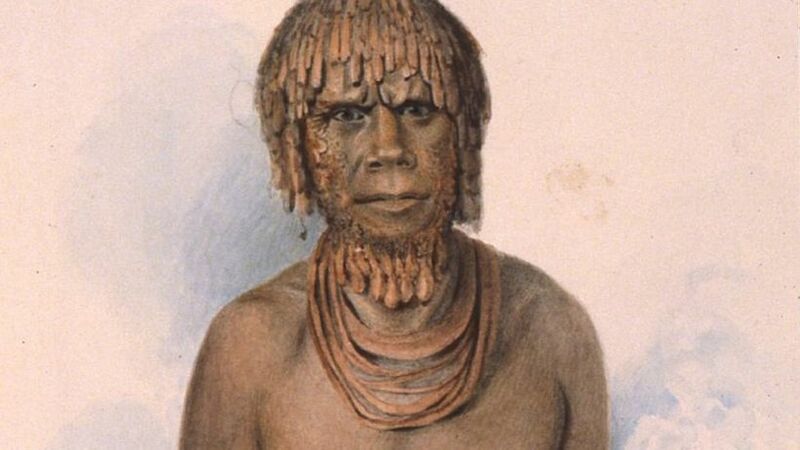 A collection of 19th Century paintings of Aboriginal Tasmanians has gone on display in Australia for the first time. 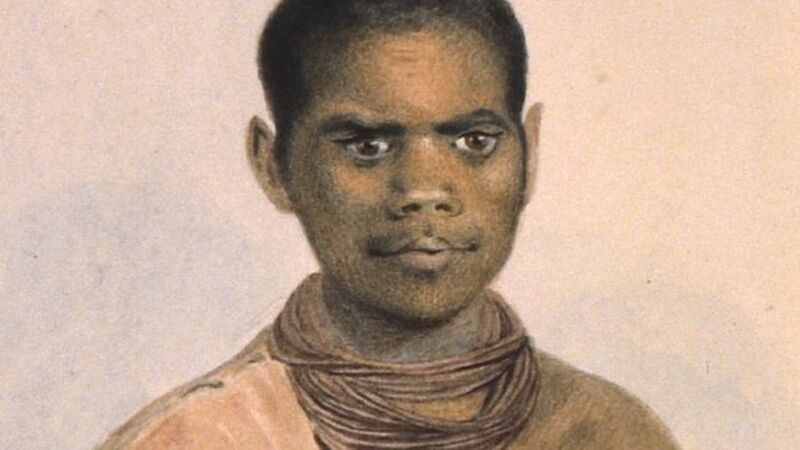 English convict artist Thomas Bock painted the portraits of indigenous leaders in Tasmania in the 1830s - a time of infamous frontier conflicts. The artworks have been kept in Britain, mostly in storage, since the 1840s. The exhibition in Hobart has stirred up complex feelings for descendants of those featured in the paintings. The works, on loan from the British Museum, went on display at the Tasmanian Museum and Art Gallery (TMAG) on Friday. Museum curators have welcomed the return of the 19 paintings, which were completed with watercolour and pencil. The exhibition has prompted complicated emotions for some people, such as artist and TMAG curator Julie Gough. "These paintings stand in for photographs of our ancestors - so they make us remember who we are and what they went through," she told the BBC. "But they're also by non-Aboriginal people. And that's the legacy of colonialism. Bock, from Birmingham, was sent to Hobart in 1823 after being found guilty of trying to induce an abortion in his mistress. He went on to become a prominent artist in the colony. Bock's paintings were commissioned by a British official, George Augustus Robinson, a historically controversial figure who had the title of "conciliator" between 1829 and 1834. Robinson persuaded many Aboriginal Tasmanians to move away from their traditional lands. Ms Gough said the portraits were "of people before they realised they had been tricked and lied to". Looking at the small painting of her ancestor, Manalakina, evoked feelings of sorrow and anger but also pride, she said. "She was considered a leader of the east coast [of Tasmania]," Ms Gough said. "I can't help but feel very connected and aware that this is history - it's not just a portrait." Inikah Bentuk Nokia 3310 yang Baru?